Commissioned by UKWA and delivered by research specialists Global 78, Feeding London 2030 has been hailed by industry leaders as a timely and valuable source of data for all stakeholders in the food & beverage and food service supply chains. This must-have report is available to purchase now! 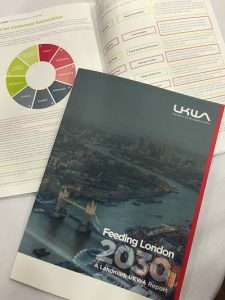 For more information about the Feeding London 2030 report, Contact UKWA. Complete the enquiry form below for a quick taster on the valuable information included in the report.